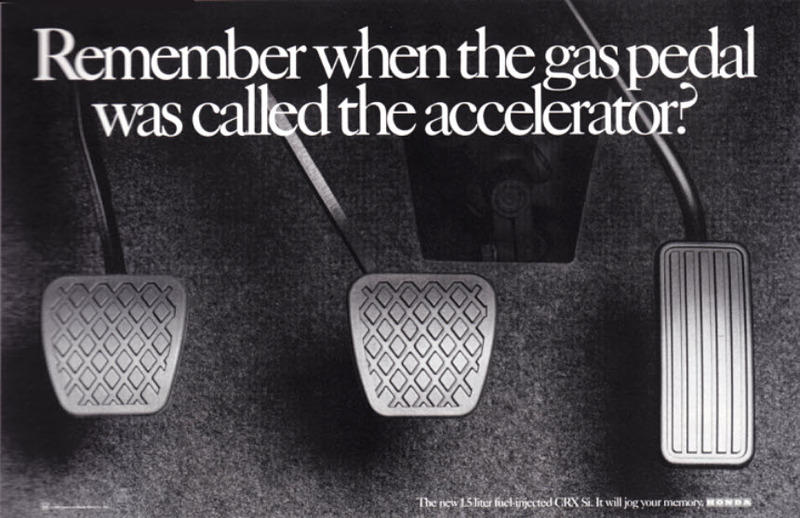 This 1987 ad for the Honda CRX-Si is best understood in the context of the times. After two major oil-price shocks in the 1970s, the muscle-car era in America gave way to the economy-car era. 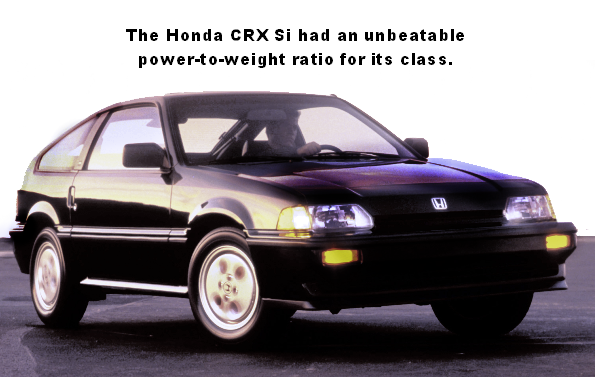 The CRX-Si promised the best of both worlds. I owned the all black 1986 Honda CRX si. I loved that car more than any car I have ever owned. It is the reason I have always owned Hondas; Accords, Element and the Odyssey. I was 18 at the time and the car was a pure pocket rocket. I balded the front tires within 3 months from “excessive acceleration” according to local PD. It handled like a dream and cornered like it was on a slot car track. So much fun to drive. Great ideas withstand the test of time. Even in the digital age it’s ideas that matter most. Looking forward to following your forum.